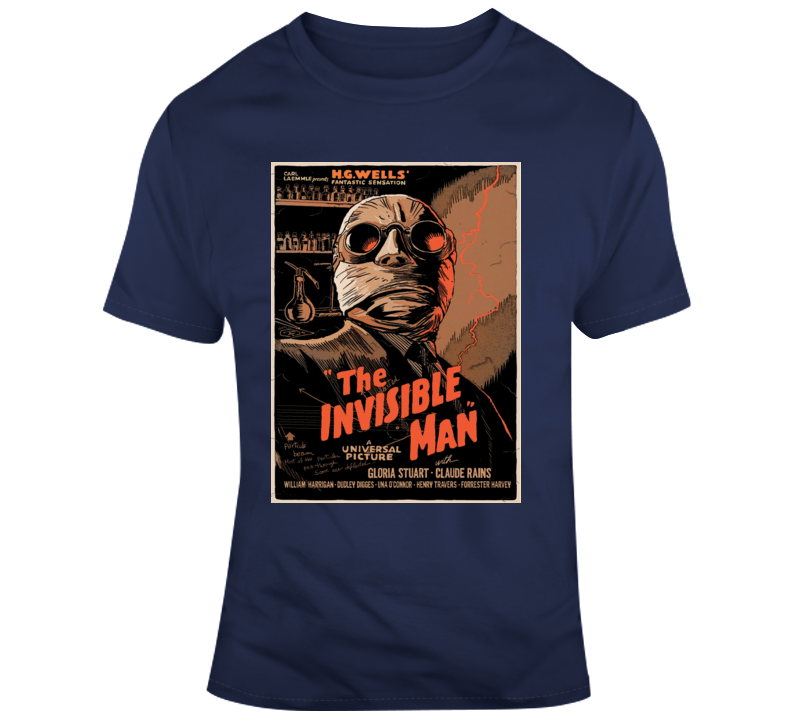 The Invisible Man Classic Horror Film Lobby Poster Style Claude Rains T Shirt comes on a Navy 100% cotton tshirt. 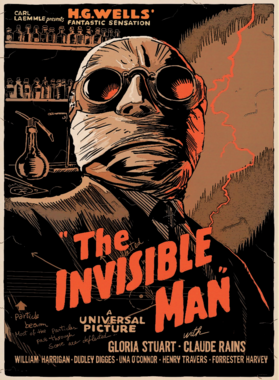 The Invisible Man Classic Horror Film Lobby Poster Style Claude Rains T Shirt is available in a number of styles and sizes. This Movies tshirt ships via USPS.